Jane Austen's classic romance brings us the love story of Miss Elizabeth Bennet and Mr. Fitzwilliam Darcy. Darcy's prejudice against the society of Longbourn and refusal to dance with Elizabeth cause the villagers to view him as arrogant. As time passes, Darcy finds himself attracted to Elizabeth's charms can he overcome his pride to earn her love? 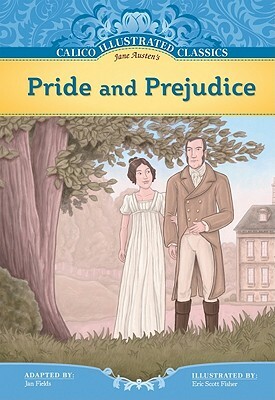 Find out in the Calico Illustrated Classics adaptation of Austen's Pride and Prejudice.